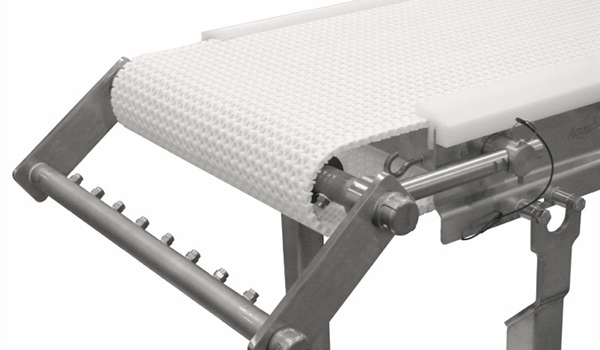 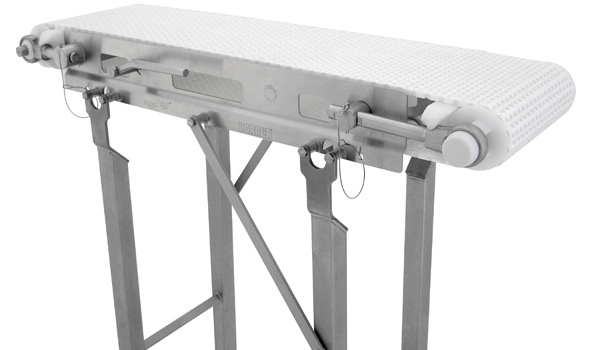 AQUAPRUF 7400 ULTIMATE SERIES CONVEYOR – StampTech Inc.
Drive sprockets are located on 1.5″ square stainless steel shaft without fasteners to provide optimum drive strength and cleanability. 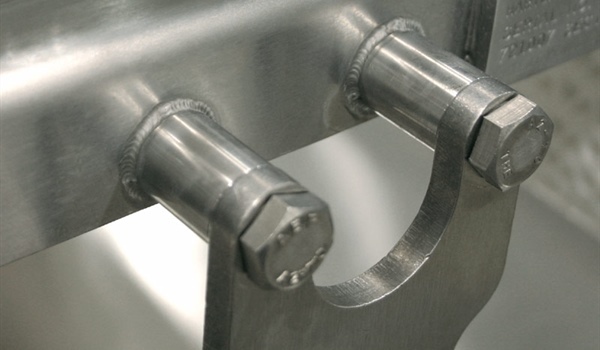 Nose bar idler ends (optional) are constructed of machined UHMW bar to provide a 1.5″ diameter transfer. 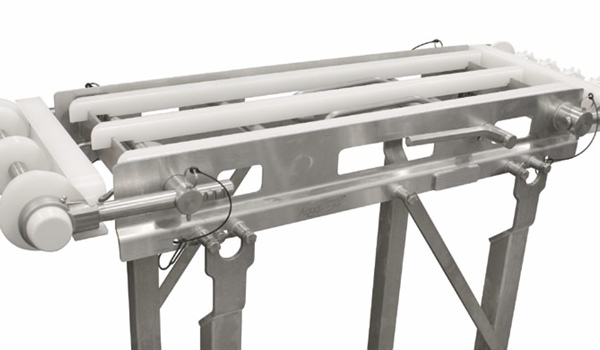 The nose bar drive configuration (optional) are available to allow spraying the inside of the conveyor without lifting the belt.